Crossfit is the biggest fitness and workout craze sweeping the nation right now, with everybody from techies to my 50-year-old mom joining in on the movement. The brand is now looking to capitalize on its expansive popularity by growing into other fitness-related categories, like food. Crossfit has teamed up with meat purveyor Strauss to develop Crossfit-approved meat boxes, making protein selection a lot easier. Photo courtesy of Crossfit and Strauss. Each "Crossfit-approved" box comes with a selection of free-range chicken, grass-fed burgers, steaks, and even beef sticks. Because the beef and chicken are pasture-fed, Strauss claims that their meat is relatively lower in calories, total fat, and cholesterol, while being rich in micronutrients like iron, B-vitamins, and even omega-3 fatty acids. All of the cattle and chicken the meat comes from are produced on agriculturally sustainable family farms, meaning they help give back to the environment while raising animals for us to eat. Strauss's sustainable and nutritious meat packages are big for Crossfit junkies that are looking to be conscious about how they bulk up after workouts. Yes, mom, that includes you. Strauss said he will put the Crossfit-approved meat in grocery stores nationwide later this year, but for now, you can acquire a month's supply of grass-fed meat for $215 on Strauss's website. 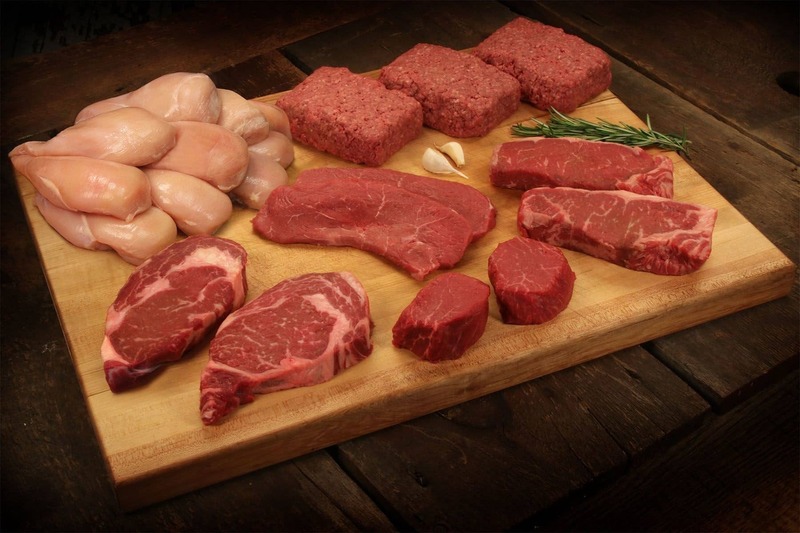 The box includes 60 ounces of organic free range chicken breast, 3 pounds of ground beef, 10 ounces of tenderloin (or Filet Mignon), two 10-ounce ribeyes, two 10-ounce strip steaks, and two 6-ounce sirloin steaks.